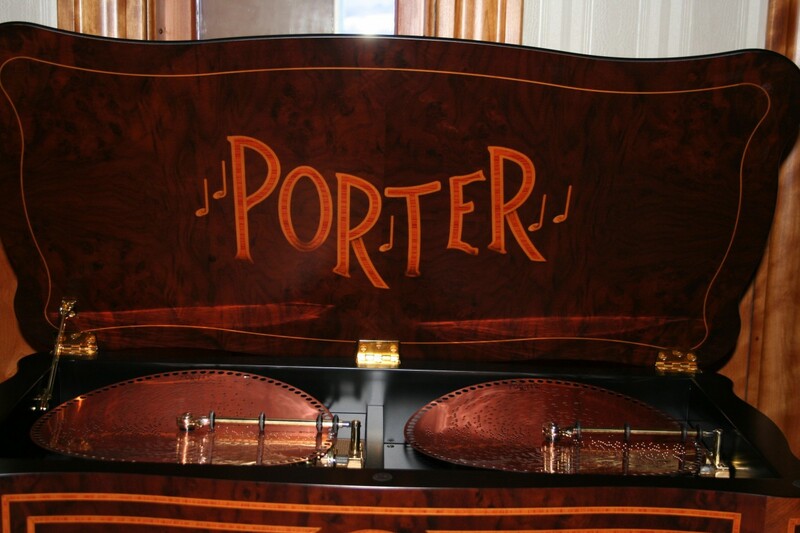 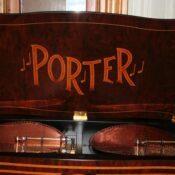 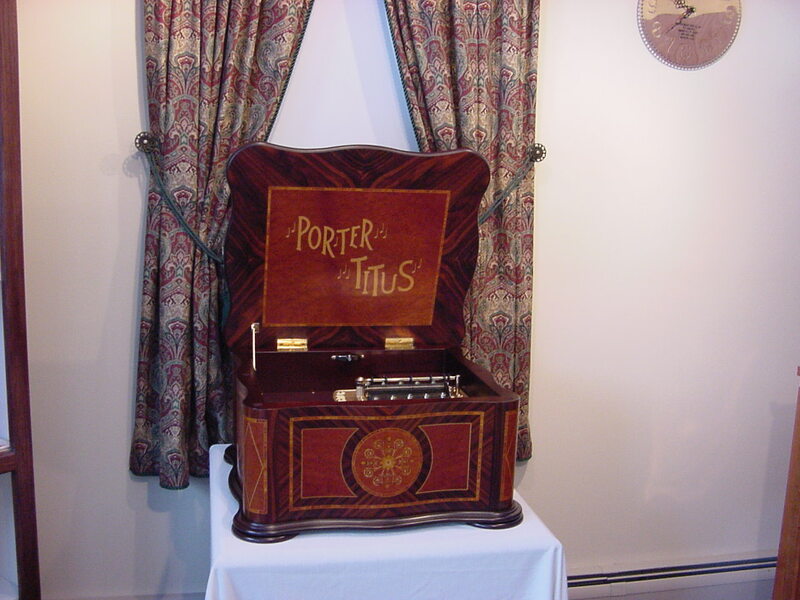 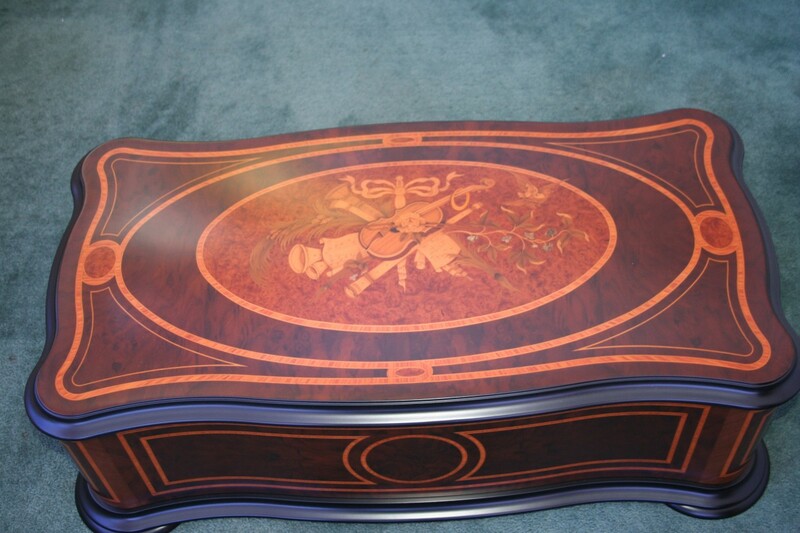 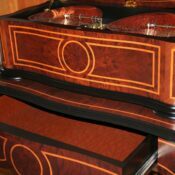 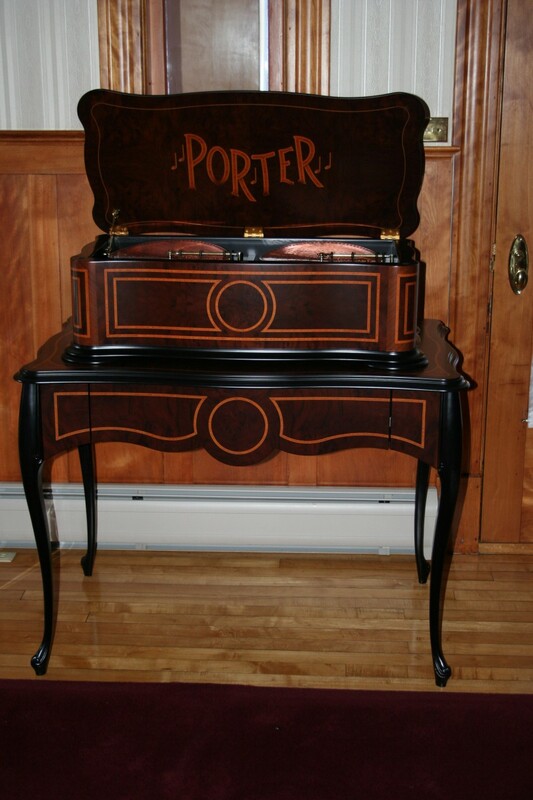 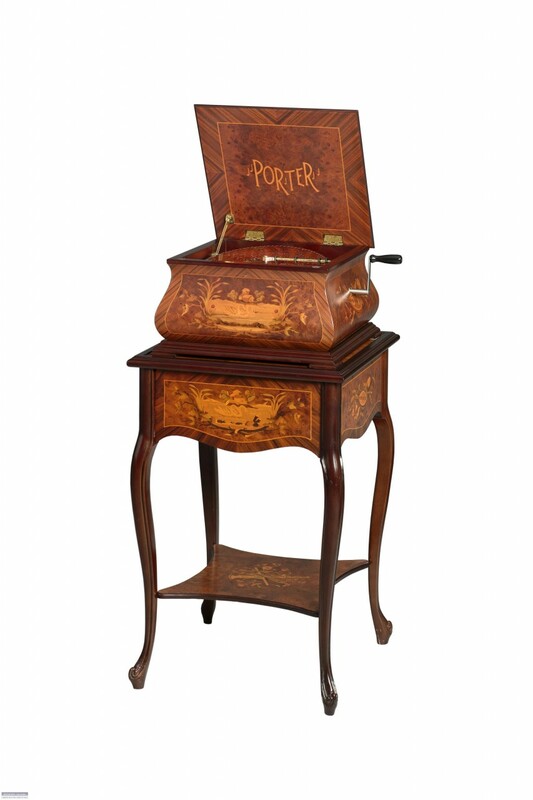 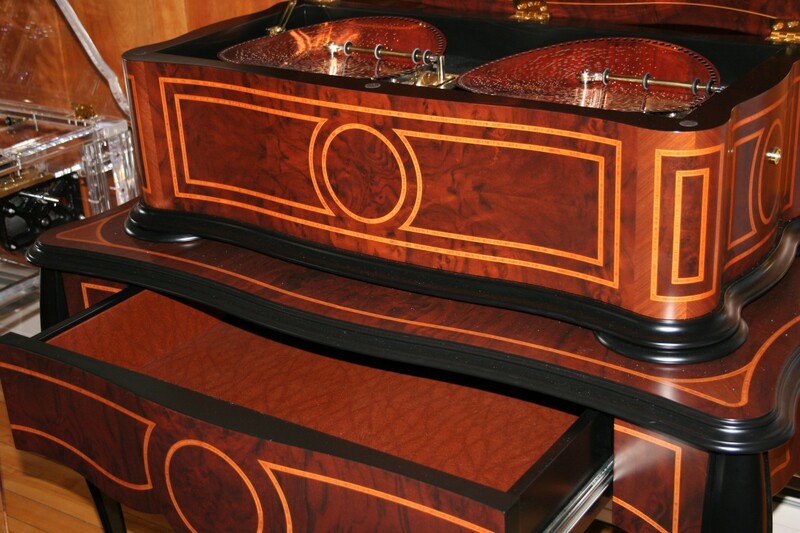 12 1/4 Twin Disc Music Box This is one of the most impressive cabinets we have ever produced! 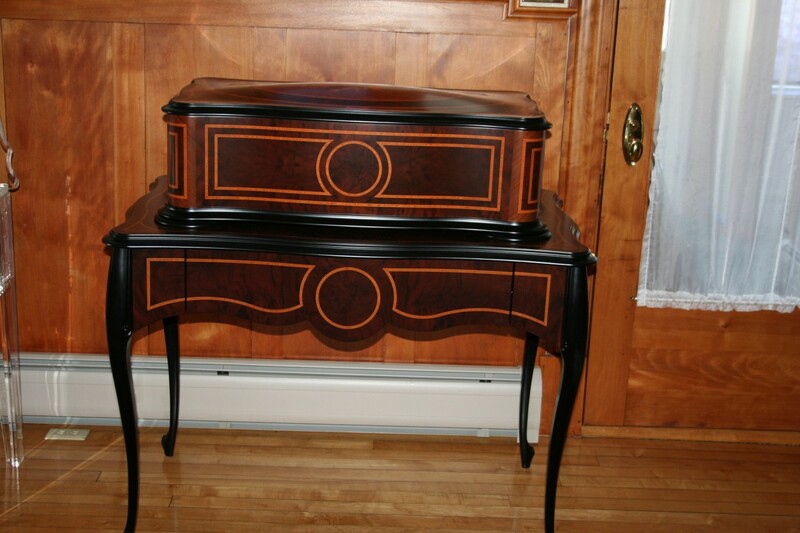 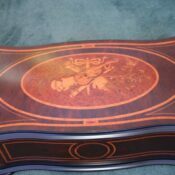 A Twin Disc with a matching table with drawer. 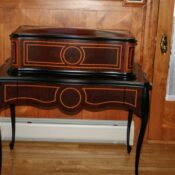 The cabinet is rounded on the top and inlay is perfect and it will accentuate any room decor with pure elegance and grace. 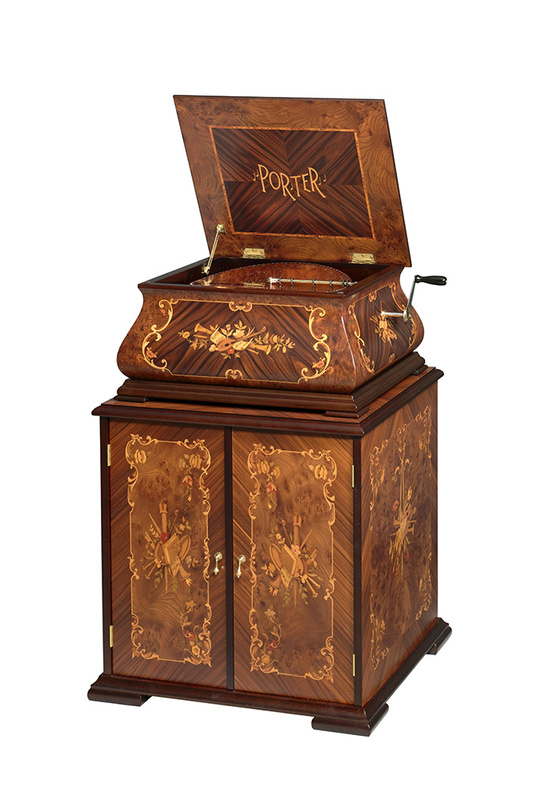 The Music Box features two of 12 1/4 bedplate’s giving us 216 playing teeth and what a beautiful sound this machine gives us.